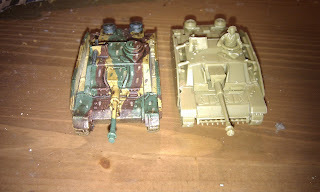 Well I must have been a good boy in 2011 as Father Christmas brought me my first 2 boxes from The Plastic Soldier company. I've been following them online for some time and have been meaning to buy something from them for ages. 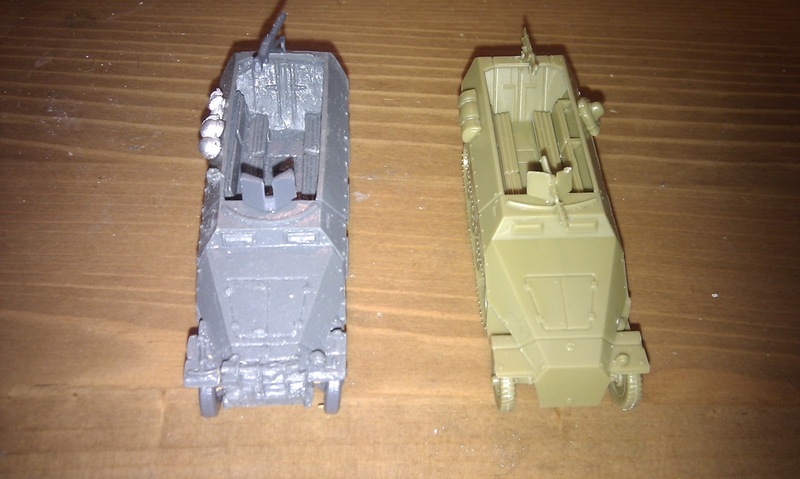 Well I got one box of German Stug III Ausf F8/Gand another of SdKfz 251 Ausf D Halftrack. I've put one of each together sofar. 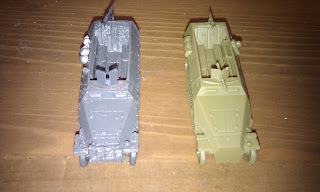 The assembly process is a little fiddly for the Stug, especially for the tracks, but overall isn't too difficult. Each one took me about 20 minutes (or one episode of American Dad which I was watching on TV as I put them together). I'll try to take some step by step photos when I stick the rest together. 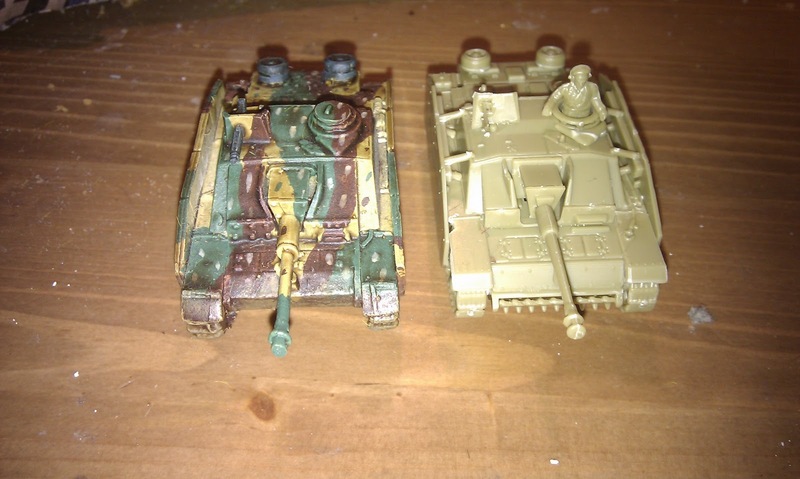 There are plenty of options for the Stug, you can make up about 4 variants, so its good for both the Mid and Late war player. At about £16 a box (or less if you shop on-line) these are quite the bargain. 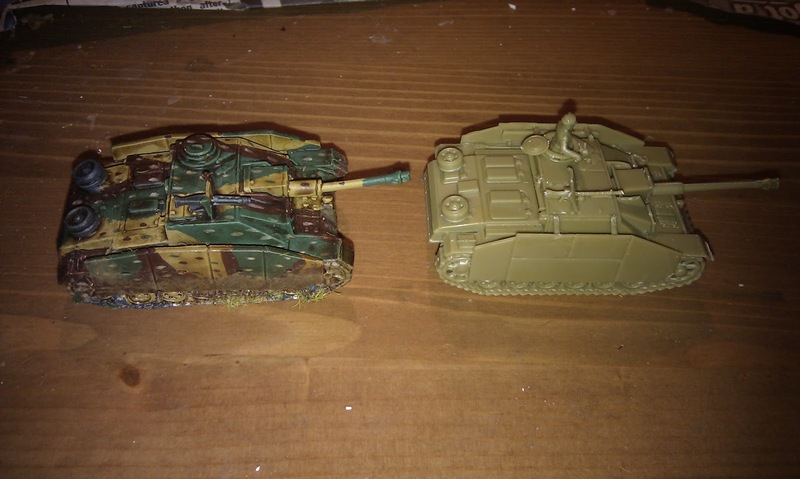 Below are some comparison shots, with the PSC model next to their Battlefront equivalent. 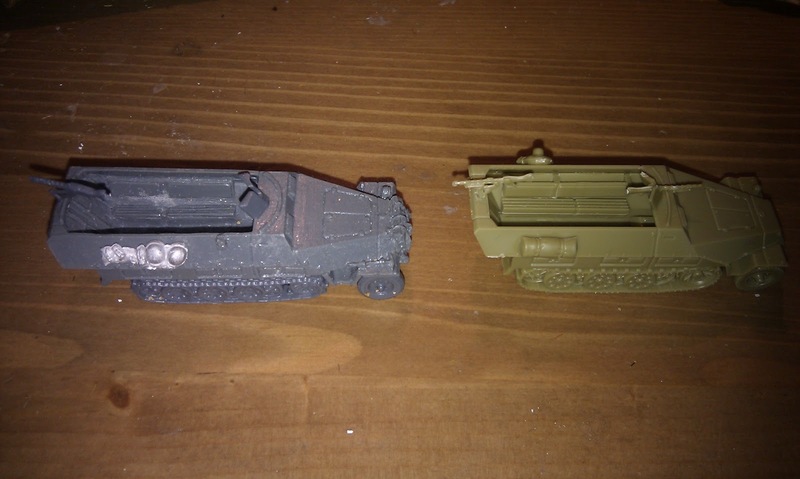 As you can see in terms of size both models are near identical. 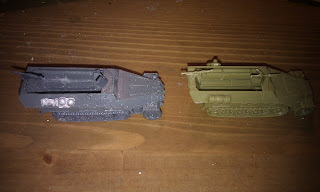 I'll take some more shots when painted but I think they should be virtually indistinguishable. The SdKfz 251. PSC on the left. 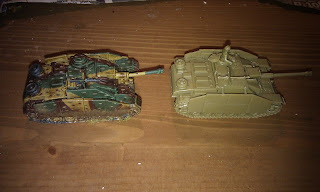 The Stug. PSC on the left.